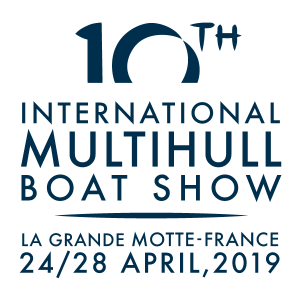 Hall Spars are delighted to announce that we will be exhibiting at the 10th International Multihull Boat Show in La Grande Motte from April 24th – 28th. 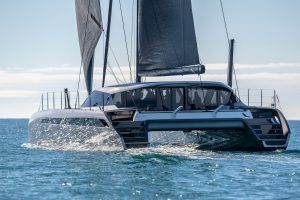 With nearly four decades of experience working with carbon rigs, our expert engineering is the foundation of the many projects we have worked on, producing multihull rig packages to the highest standards. Together with the yacht’s design team, our team will create a unique marriage between your spar and sails and work with you to perfectly integrate the rig into the deck layout. This guarantees a high quality rig every time. We deliver complete refined rig packages of mast, boom and beams as seen on the recently launched Gunboat 68, combining high quality, reliability and performance. The Hall Spars stand is located directly in front of the restaurant and near the exit to the port. There you will find our Commercial Director, Geert Kuypers, Mulithull Manager, Ian Andrewes and US Sales Manager, Jacques Swart. From our sister company and rigging specialists, Future Fibres’ Sales Manager Erik Bernstrom will also be at the stand. Our expert team will be on hand to show you how our rig packages can set you apart from the rest and create a multihull that exceeds expectations.